The star pastry chef teams up with Shawn Pham at Fiona, which will also be an all-day restaurant. 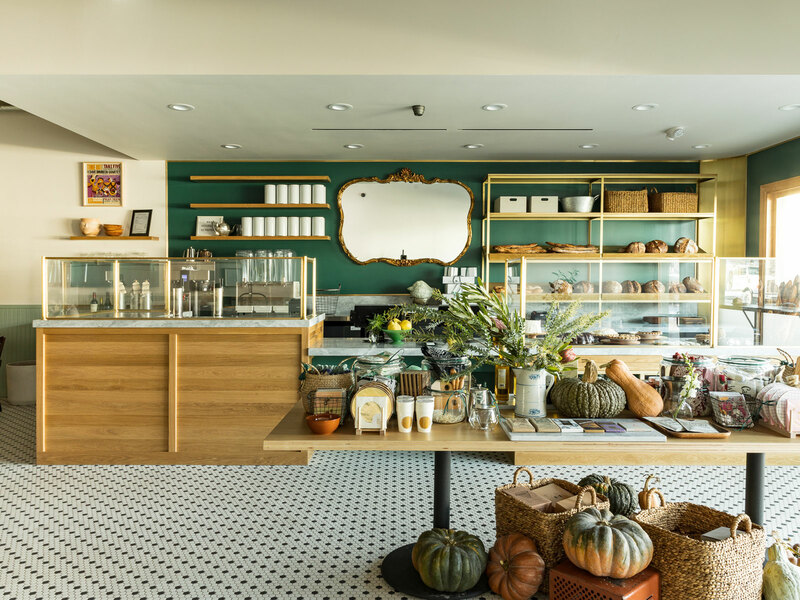 The first thing you should know about Fiona, the Fairfax Avenue bakery that beloved L.A. pastry chef Nicole Rucker is opening on Monday, November 19, is that you can walk in next week and pick up a pie for Thanksgiving. 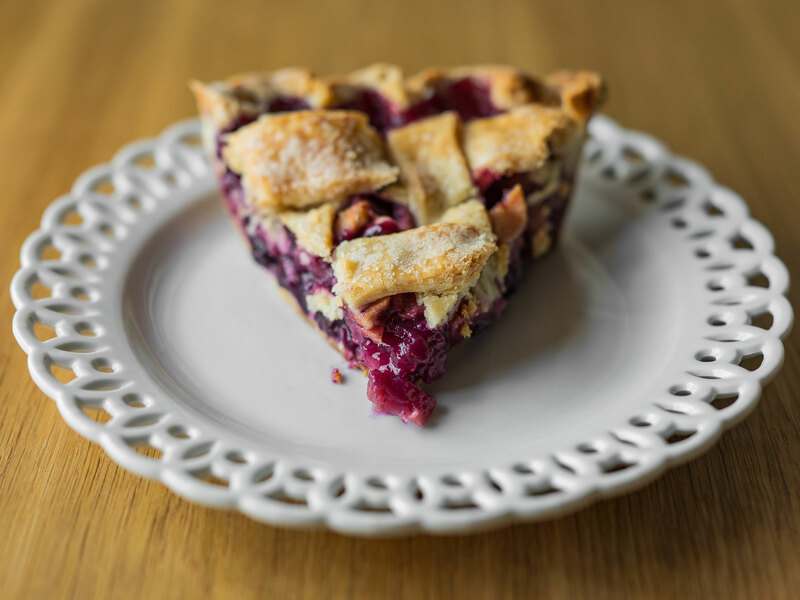 Rucker, whose credits include opening both Gjelina Take Away and Gjusta with chef Travis Lett, plans to have pie flavors including chocolate chess, apple, pumpkin, Mexican lime, and possibly some other options next week. For your last-minute pie needs, Fiona will be open from 8 a.m. to 3 p.m. on Thanksgiving Day. Rucker will also be selling other sweets like a chocolate bundt cake and an upside-down California date cake topped with coconut-milk caramel. She’ll have her wonderful version of a Pepperidge Farms Milano cookie that very much tastes like a Milano but with superior chocolate. She’ll have a chocolate chip cookie that’s different from the one she’s been serving at restaurants like Bludso’s and Prime Pizza. Rucker, whose pies have been a sensation at Gjusta, Smorgasburg, and assorted pop-ups, originally planned to open a bakery on La Brea Avenue last year. That fell through, so the anticipation has been building for Rucker to debut her own spot. 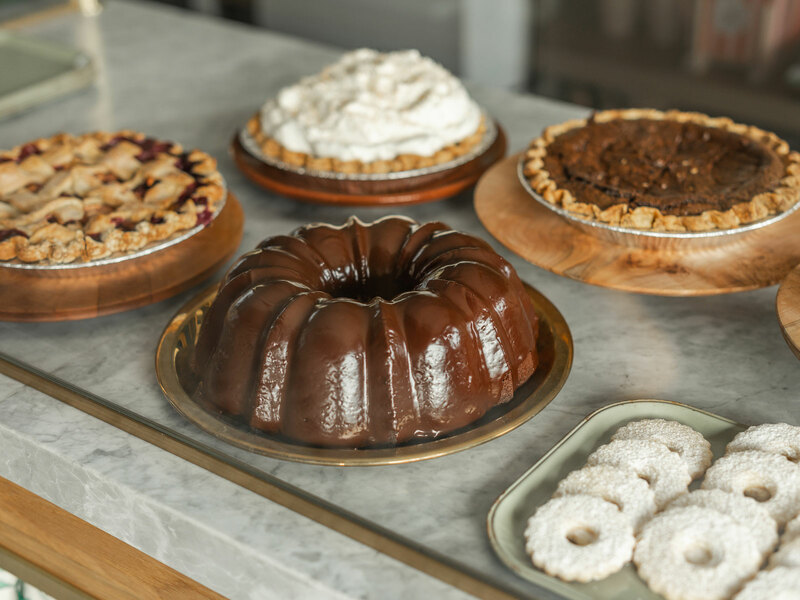 As we said last year, it will be incredibly exciting to walk into a bakery and choose from an assortment of Rucker’s pies. Plus, Rucker, who is one of Fiona’s owners alongside James Starr and Jason Bernstein, has brought in co-chef Shawn Pham—because Fiona isn’t just a bakery. it’s also an all-day, seven-days-a week restaurant that will start serving breakfast, lunch, and dinner on December 3. Fiona’s regular hours until then will be 8 a.m. to 8 p.m. Closing time will be pushed back to 10 p.m. once dinner starts. There will be beer and wine. For example, Pham dislikes celery, but celery is Rucker’s favorite vegetable. So Pham’s making a latke-like celery-root pancake with a celery-root remoulade. “Even though I don’t like something, my goal is still to make a dish better than someone that does like it,” he says. A lot of what Fiona will serve is based on the flavors Rucker personally craves the most. She says she’d be happy eating turkey every single day and that her favorite meal is Thanksgiving dinner, so Fiona will have a turkey porridge with the flavors of that holiday feast. Fiona will have toasts, of course, made with bread baked in-house, but there won’t be avocado toast. So Fiona will serve a lot of toasts. And Fiona will have avocado. But not avocado toast. Instead, there will be a masa harina pancake inspired by chips and guacamole. The pancake will be topped with avocado and a dry salsa seca that has sunflower seeds, pumpkin seeds, and sesame seeds. And what Pham is doing with toast is taking Rucker’s exemplary bread and weaving in numerous global influences. Fiona is making delightful butter with a Japanese sesame paste as an alternative to serving an almond-butter toast or a peanut-butter toast. An Indian-inspired curry-leaf toast we previewed pops with texture and flavor. Pham fries the curry leaves in olive oil with black mustard seeds, yellow mustard seeds, and cumin. There’s also yogurt on the toast and chutney on the side. There are also unexpected and delicious riffs in a comforting chicken soup with miso and “egg noodles” that are actually starch-free ribbons of egg. Pham, who’s worked at fine-dining restaurants like L.A.’s Sona and also cooked in Ho Chi Minh City, has a lot of tricks with eggs. He happily admits that a YouTube video taught him how to make a soufflé omelet. It’s an impressively fluffy dessert that comes with a trio of housemade jams like quince/rose geranium, fig/wild fennel, and ruby marsh grapefruit. Right now, this is an off-menu item that’s available by request. Pham is the only person in the kitchen who knows how to cook a soufflé omelet, and Rucker is encouraging him to teach someone else how to do it. Pham says he’ll put the soufflé omelet on the menu if he figures out a way where it doesn’t have to be completely made to order. In the meantime, you’re still welcome to ask for one. Rucker, who loves going to all-day restaurants in the middle of the day, encourages guests to visit Fiona at, say, 3 p.m. Maybe that’s a good time, when Pham is less busy than during prime dining hours, for you to request a soufflé omelet. Fiona also has a small retail area with holiday cards, birthday candles, beautiful paper plates and napkins, tea towels, notebooks, coffee pots, olive oils, and baking supplies like pastry scrapers and cake testers. There are reusable metal straws made by one of Rucker’s best friends. There are custom scented Calliope candles that Fiona had designed to smell like cedar-and-rose and spiced, preserved lemon. There are Rucker’s jams. You might end up leaving with a lot more than a pie for Thanksgiving.